Last Monday I pushed off from Darjeeling to Gangtok in Sikkim in a shared jeep. The journey was the most difficult jaunt I have experienced in the last three years. One of the most difficult journeys was from Mostar to Jajce in Bosnia—after five minutes in the bus I started sweating and feeling nauseous. A similar situation occurred in the 10 seated shared jeep where I was sitting in the very back, except, I eventually barfed my brains out during the trip—good thing for plastic bags. All the guests at the guesthouse in Darjeeling were from England. Primarily, six of us hung out and went out on the “Eve” and enjoyed singing some Karaoke. To my surprise, I sounded amiable according to public opinion so I might do more Karaoke as I travel around. Four more british girls arrived at the guesthouse, and I can say the entire group were very pleasant and respectful. Christmas is recognized by the Christians here in India. Many people asked if I celebrated or believed in Christmas—I plainly comments that I view the holiday as a bunch of Idolatry. I departed from Darjeeling with an ultra cool dreadlocked UK guy, we hung out in Gangtok until he headed for West Sikkim. I thought I received many curious looks—Deadlocked Bearded Dan receives looks from everyone. It is interesting to view people who stare toward a different outward appearance from what they are used to viewing. Dan and I might have the opportunity to meet up in Varanasi. I will most likely return to Sikkim to explore the West and North within another trip to India. After getting sick I did not feel up to another winding mountain jaunt. Plus, hill towns are difficult because of steep rising steps that cause slight knee pain. So today I am back down from the mountains and will be heading back to Calcutta. Sikkim is very different from the rest of India. 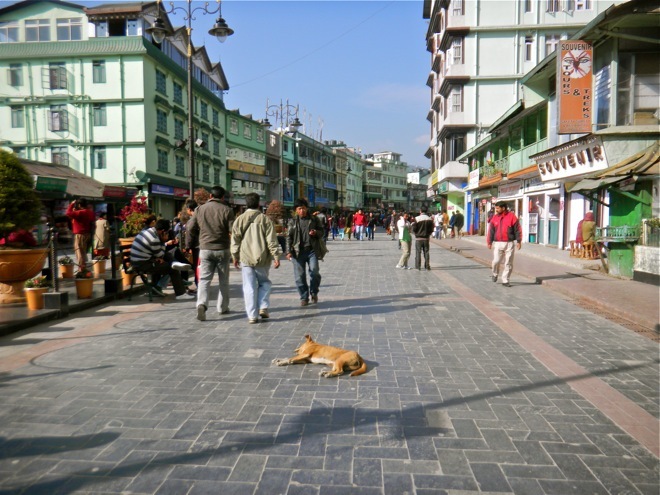 Gangtok is a medium capital city that prides itself for its cleanliness. If you are traveling India and might be struggling—Sikkim and Darjeeling can provide a quick escape without leaving the boarders of India. 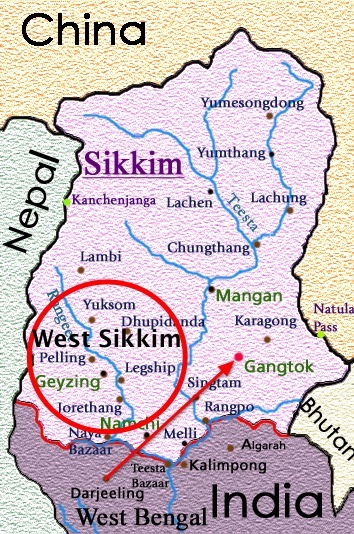 Sikkim is a disputed area. You need a permit and can receive the permit within one day for 15 days in Sikkim. You are allowed to get two 15 days extensions and then you must leave Sikkim for 3 months. Foreigners are not allowed to cross any borders from Sikkim. 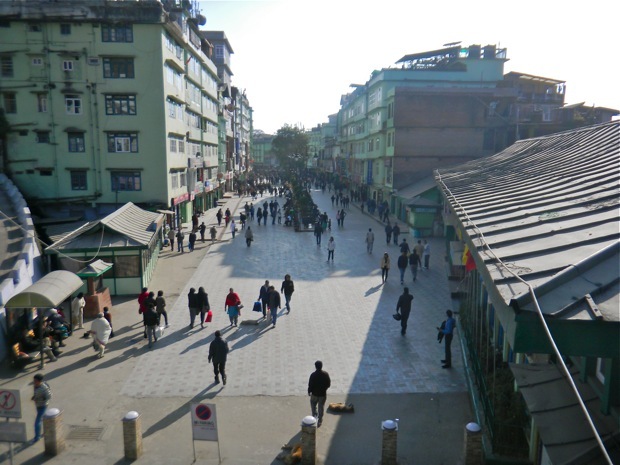 There are certain areas of Sikkim that the foreigner will need an additional permit or must join a tour. West Sikkim where most trekkers visit is accessible. Sikkim is a landlocked Indian state nestled in the Himalayas. It is the least populous state in India and the second-smallest state after Goa. Kangchenjunga, the world’s third-highest peak, is located on the border of Sikkim with Nepal. 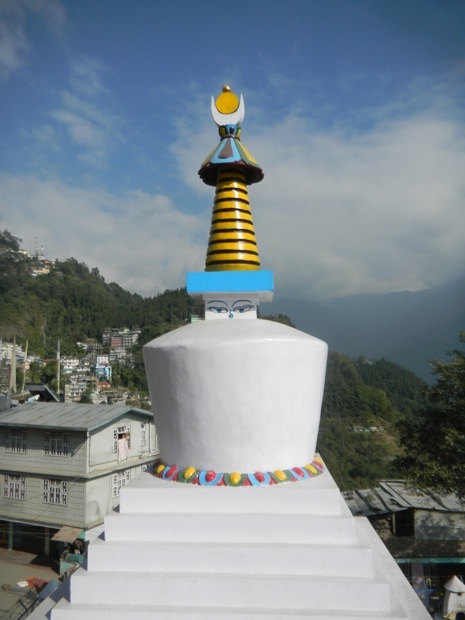 Sikkim is a popular tourist destination owing to its culture, scenic beauty and biodiversity. Sikkim has 11 official languages: Nepali (lingua franca), Bhutia, Lepcha (since 1977), Limbu (since 1981), Newari, Rai, Gurung, Mangar, Sherpa, Tamang (since 1995) and Sunwar (since 1996). English is taught at schools and used in government documents. It is the only state in India with an ethnic Nepalese majority. The predominant religions are Hinduism and Vajrayana Buddhism. Gangtok is the capital and the largest town. Sikkim has a booming economy dependent on agriculture and tourism, and has the only open border between India and China. Nice overview of Gangtok! I haven’t been here but I’ve been to neighbouring Bhutan. Next post: Renting in Varanasi India—The Home of the Ganga.